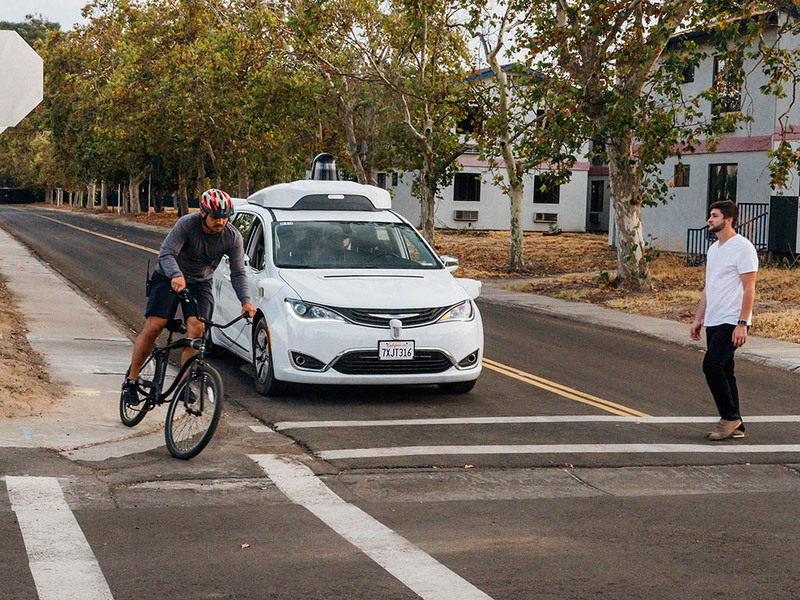 Waymo is developing fully self-driving cars with the goal of making it easier and safer for people to get around. 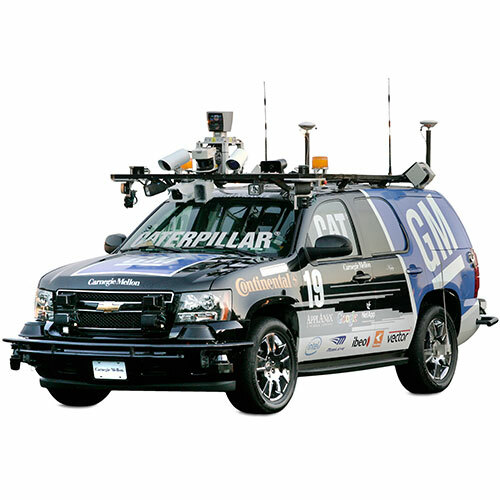 It is test-driving its vehicles on closed courses, public roads, and in simulation. …and in a California test facility with staged roads and pedestrians. 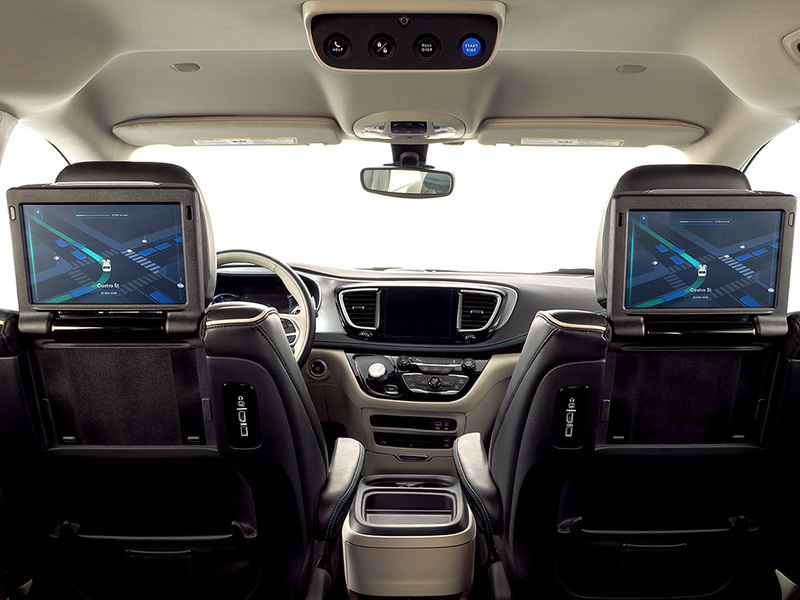 Displays in the backseat lets riders see what the car is doing. 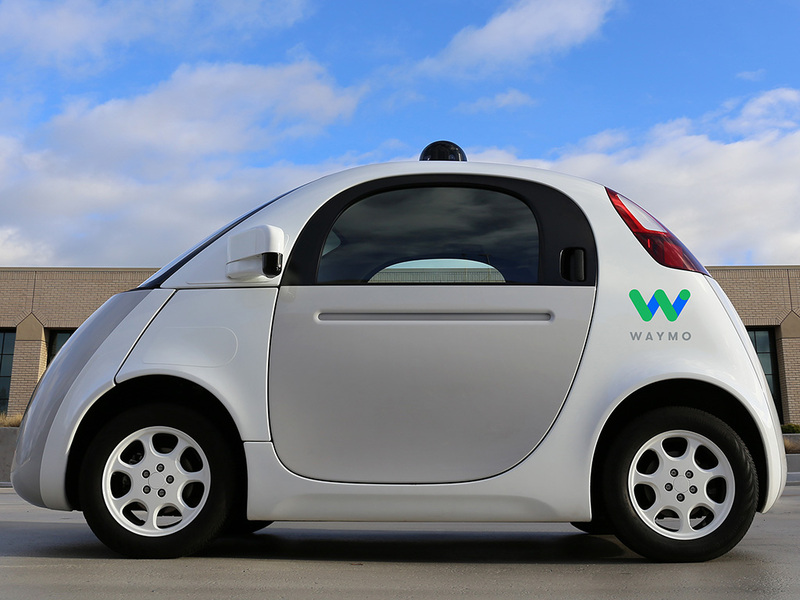 One of Waymo's initial designs was a car named "Firefly." 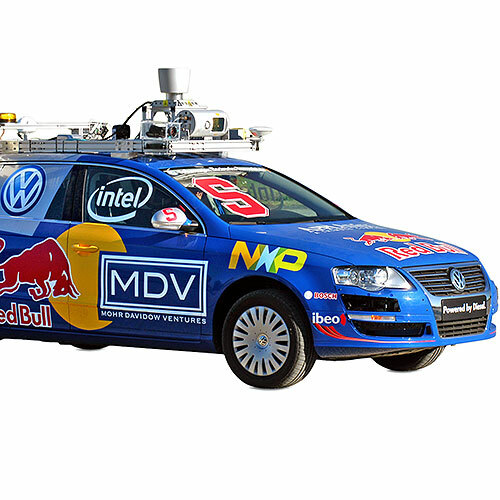 What does it feel like to ride in a fully self-driving car? Waymo introduces its fully autonomous minivans. 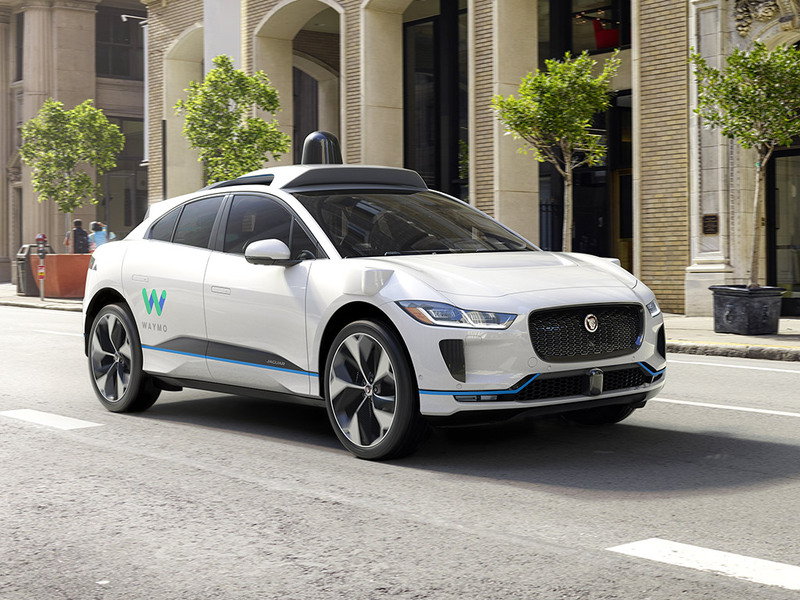 Waymo is developing a fleet of self-driving Jaguar I-PACE cars. 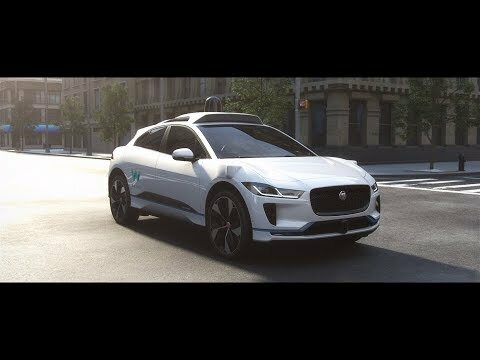 One of the world's first fully self-driving rides on public roads. 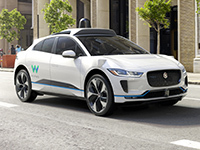 In Phoenix, Ariz., you can call a Waymo using an app and it will come pick you up without anyone in the driver's seat. Waymo engineers have created a simulation program called "Carcraft," named after the video game "World of Warcraft." 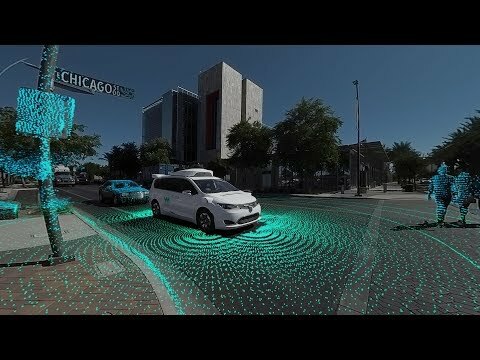 As of 2018, Waymo has driven more than 5 billion miles in the virtual world. 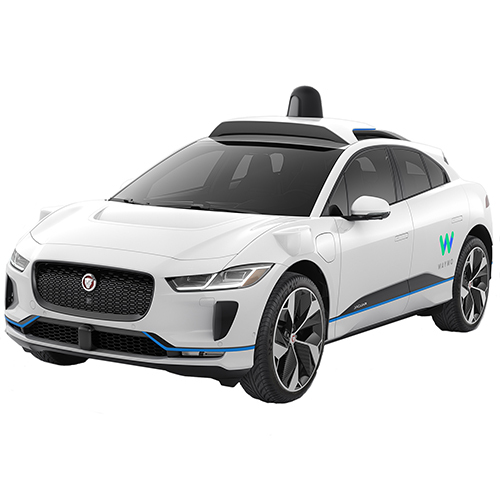 Waymo plans to add 20,000 self-driving Jaguar I-PACE electric vehicles to its autonomous fleet. 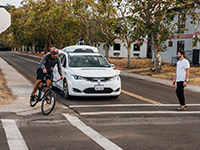 Since 2009, Waymo's cars have self-driven more than 8 million miles (12.9 million km), mostly on city streets. 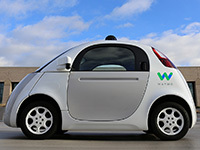 Waymo began as the Google self-driving car project in 2009. It became a subsidiary of Google's parent company Alphabet in 2016. Fully self-driving technology with person in the vehicle never expected to take control at any time. 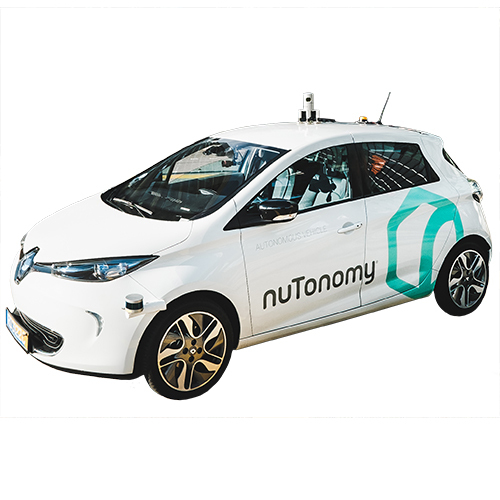 Custom sensors and software designed to detect pedestrians, cyclists, vehicles, and other objects up to 300 meters away. 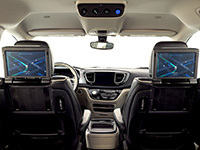 Fleet of self-driving vehicles includes modified Lexus SUVs, custom-built prototype vehicles (nicknamed "Firefly"), and fully self-driving Chrysler Pacifica Hybrid minivans. Tests undergoing with Class 8 trucks. 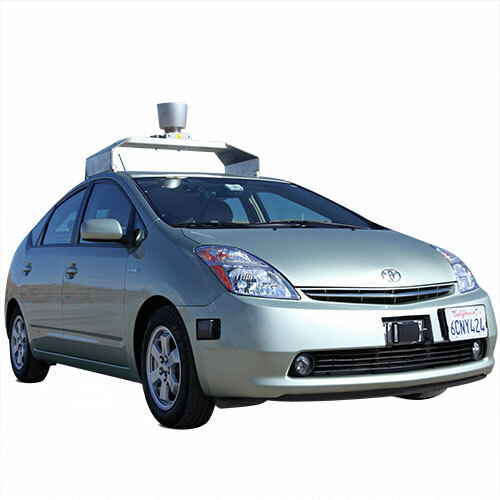 Custom sensors include: lidar to build 360-degree view of road and objects around the vehicle; radar to detect distance and speed of objects in motion; and high resolution cameras to detect visual information like traffic lights.